Meatballs are one of those foods that seem safe if you are wheat or gluten free, but generally speaking, they usually contain breadcrumbs which is a bummer. This recipe gives you a super tasty option if you are craving meatballs. I use BBQ sauce in this recipe, but you could easily use marinara sauce and throw it on top of some gluten free pasta for some awesome spaghetti and meatballs. Combine all the ingredients up to the olive oil in a bowl. Mix well and form your meatballs. I like making tiny, bite size, meatballs but you can make bigger ones if you want. Heat the olive oil in a large skillet over medium heat. Brown the meatballs on all sides (about 6 minutes) and then remove from the skillet. In a pan, add the meatballs and the sauce, cover and simmer for 20-25 min, stirring every few minutes. 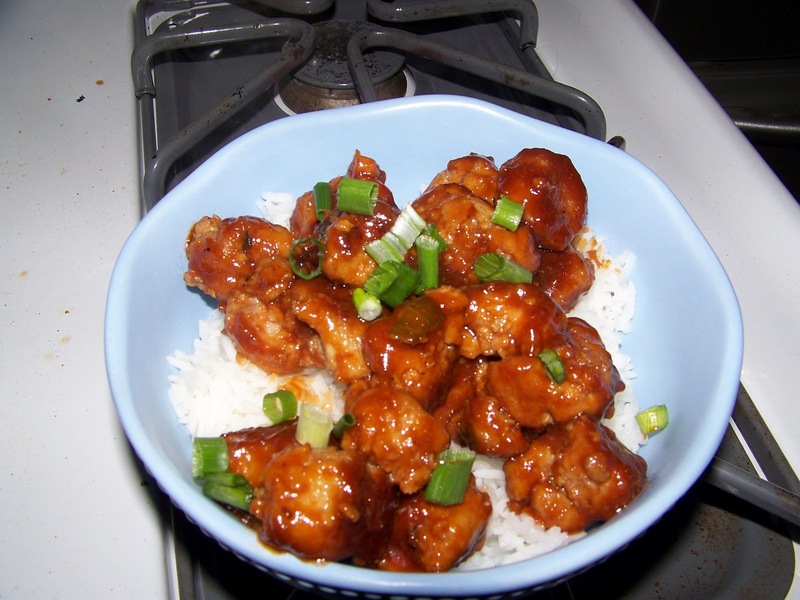 Serve the meatballs over rice and top with green onions. Enjoy!